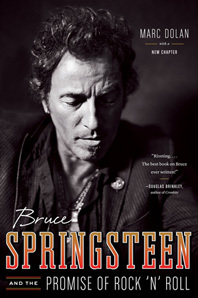 Bruce Springsteen and the Promise of Rock 'n' Roll - Description | W. W. Norton & Company Ltd. This smart, incisive biography traces Bruce Springsteen’s evolution from a young artist who wasn’t sure what he wanted to say to an acclaimed musician with a distinctive vision for a better society. Brilliantly analyzing and evoking Springsteen’s output, Marc Dolan unveils the pulsing heart of his music: its deep personal, political, and cultural resonances, which enabled Springsteen to reflect on his experiences as well as the world around him. The book is now updated with a new chapter on The Promise, Wrecking Ball, and the 2012 tour.